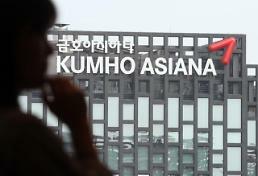 Creditors warned of financial sanctions and other punitive steps against the former owner of South Korea's second-largest tire maker, Kumho Tire, if China's Doublestar failed to acquire it due to a dispute over the usage fee of Kumho's brand. Doublestar signed a share purchase agreement in March with creditors to secure a controlling 42.01 percent stake in Kumho Tire for 955 billion won (843 million US dollars). But the deal has not ben closed because of a continued challenge from Kumho Asian Group chairman Park Sam-koo. Park has opposed the deal, insisting his group should buy back Kumho tire. Creditors have rejected Park's proposal, citing doubts about his financial ability. The deal hit a snag again over how much the Chinese company should pay for the use of the brand name. Park called for a 20-year binding accord and 0.5 percent of sales while Doublestar wants a non-binding agreement and suggested that it would pay 0.2 percent. Creditors called for an early settlement of the dispute, saying Park's group would get financial sanctions from banks and legal responsibility if the deal fails. 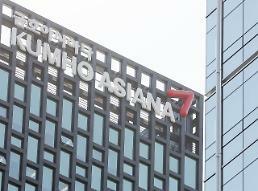 They also threatened to suspend loans to Kumho Tire.